A MAN HAS been charged in connection with the assault of Seán Cox in Liverpool last year. Cox, a 53-year-old father-of-three from Co Meath, sustained life-changing injuries in the incident. Simone Mastrelli (30) was arrested in Rome on suspicion of assault and extradited to England yesterday, Merseyside Police confirmed. He has been charged with Section 20 assault and violent disorder, and is due to appear at South Sefton Magistrates Court at 2pm today. The incident happened outside Anfield stadium ahead of the Champions League match between Liverpool FC and AS Roma on 24 April 2018. In October, Italian man Filippo Lombardi (21) was found not guilty of causing grievous bodily harm to Cox. In a statement released last month, Cox’s wife Martina said he is “continuing to make progress”. “He no longer has a feeding tube so is starting to eat and drink again with the help of the wonderful nursing staff. She also thanked the public for the “overwhelming” generosity shown to her family since the assault. Email “Roma fan charged over assault of Sean Cox”. 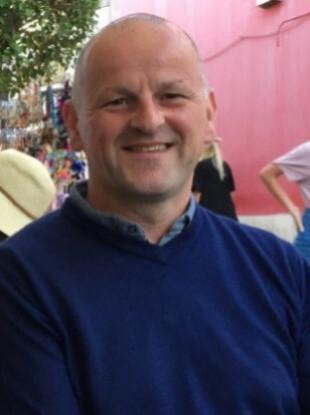 Feedback on “Roma fan charged over assault of Sean Cox”.